Home Posts tagged "spring onions"
Pardon the blurry photo, but I was so hungry and managed to rush the photo in order to devour the meal. Week three, and we’ve hit strawberry season! I went out and picked 12 pounds of berries at a local farm – Walnut Springs Farm – the majority of which went into the freezer for a batch of jam later, and possibly for a batch of mead at a later time. The meal is a salad, but with lots of fun toppings. 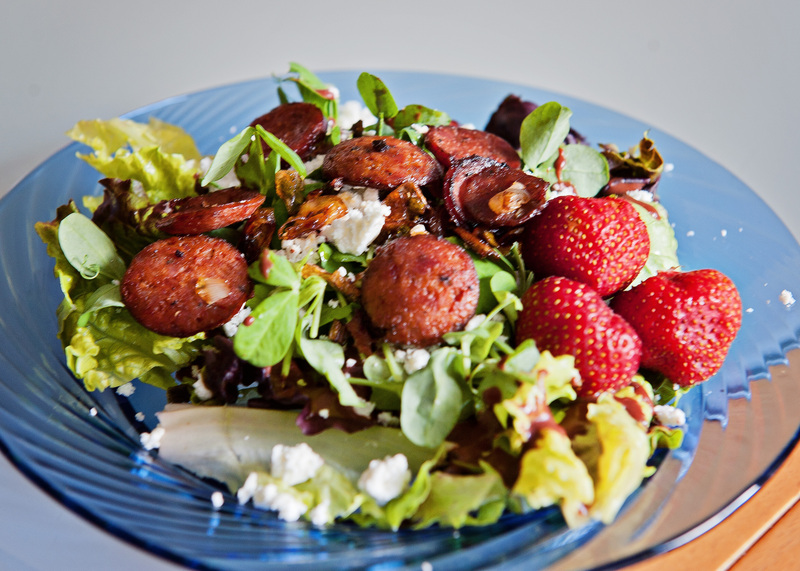 On top of the lettuce and pea shoots are strawberries, goat cheese, smoked chorizo, garlic scapes, spring onions, and the homemade dressing which also included strawberries. It was REALLY filling, and a perfect late lunch. I have just enough leftovers for another! Back at it again for the FIFTH year! We missed the first two weeks of the farmer’s market due to travel, but it seems like we didn’t miss too much. The market is really short on vegetables this year so far, and it seems spring has taken a hiatus for the weekend, with temperatures down in the 40s at the end of May. Ridiculous! Husband was pretty excited to get started on One Local Summer again, so he took the lead on the first meal of the year. 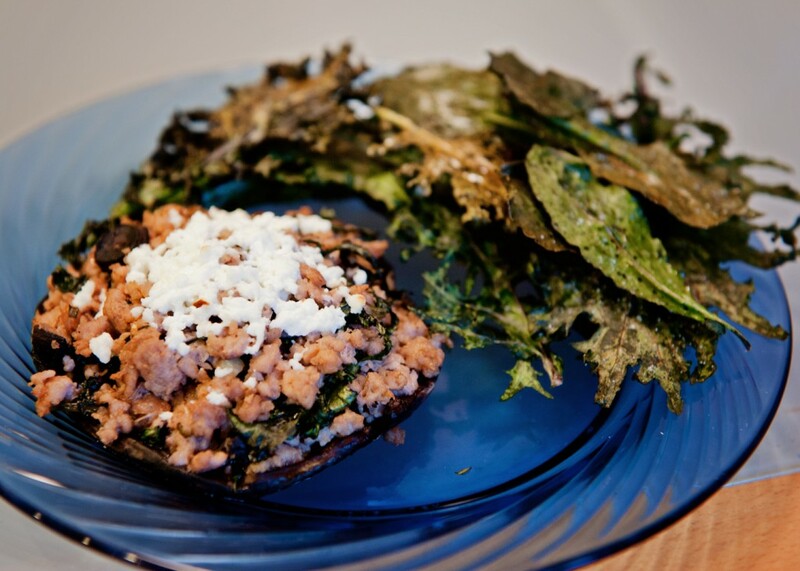 Just a re-cap, in case you’re just picking this up this year, One Local Summer involves making one meal a week through the summer using only locally sourced ingredients. The end game is to eat better and reduce your carbon footprint by finding local sources for food instead of buying things that are trucked in from across the country. In my experience, the food is FAR better in terms of flavor and quality, and if you have any questions about how it was grown, you can ask the grower in person! My little market has also never had a single case of salmonella contamination or any recalls either. It’s considered acceptable to use non-local ingredients like salt, pepper, oil, spices, etc, as long as the big ingredients are local. The meal! Husband had been itching to use his new smoker to cook up some pork ribs. 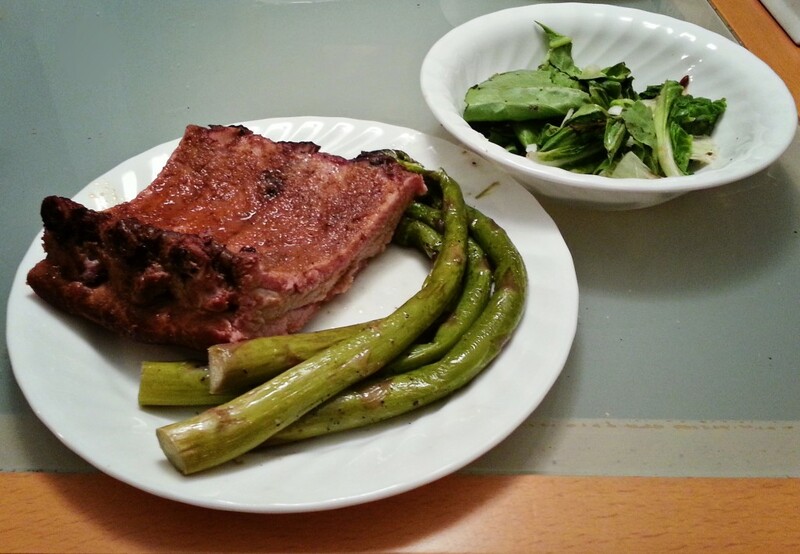 Our pig farmer finally had ribs back in stock, so we grabbed them up along with some HUGE asparagus (that’s a 9″ plate, for scale) and made a salad from some lettuce and spring onions. Sadly, the dressing (not pictured) was not local, but that was the only big non-local item in the meal. Here’s the rundown of ingredients and sources, and here’s to another One Local Summer! The husband is home again and took over full responsibility for this meal. He went to the farmer’s market and picked everything out and even cooked it too! The chicken is stuffed with spring onions, mushrooms, and blue cheese, served with grilled vegetables. Again, all cooked out on the grill, and served with a local wine, Paradocx’s barn red.